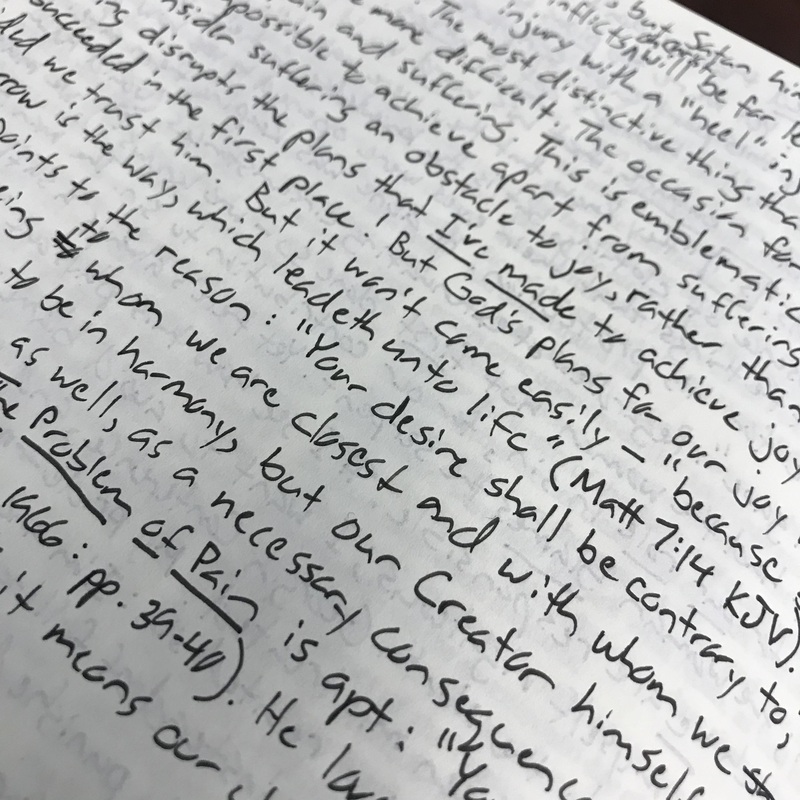 The following are lightly edited notes on Genesis 3:16 from my ESV Journaling Bible, Interleaved Edition. 3:16: “I will surely multiply your pain in childbearing”: The occasion for greatest joy in life—the birth of a child—will now be accompanied by pain and suffering. This is emblematic of life in this fallen world. Joy is impossible to achieve apart from suffering. Why do I so often forget this? See, I usually consider suffering an obstacle to joy, rather than its necessary means. Suffering, I believe, disrupts the plans that I’ve made to achieve joy—as if my plans would have succeeded in the first place! But God’s plans for our joy will always succeed, provided we trust him. But it won’t come easily—because “strait is the gate, and narrow is the way, which leadeth unto life” (Matthew 7:14 KJV). The very next sentence points to the reason: “Your desire shall be contrary to your husband, but he shall rule over you.” As a result of sin, the relationship between man and woman, husband and wife, is no longer what God intends. The human being to whom we are closest and with whom we have greatest incentive to live in harmony will often strive against us. And if this is true of our spouse, a flesh-and-blood person whom we can see, touch, and talk to, how much more true is it of our God? “Your desire will be contrary” to our Creator as well, as a necessary consequence of sin. So what should a loving God do about it? When Christianity says that God loves man, it means that God loves man: not that He has some ‘disinterested’, because really indifferent, concern for our welfare, but that, in awful and surprising truth, we are the objects of His love. You asked for a loving God: you have one. The great spirit you so lightly invoked, the ‘lord of the terrible aspect’, is present: not a senile benevolence that drowsily wishes you to be happy in your own way, not the cold philanthropy of a conscientious magistrate, nor the care of a host who feels responsible for the comfort of his guests, but the consuming fire Himself, the Love that made the worlds, persistent as the artists’s love for his work and despotic as a man’s love for a dog, provident and venerable as a father’s love for a child, jealous, inexorable, exacting as love between sexes. How this should be, I do not know: it passes reason to explain why any creatures, not to say creatures such as we, should have a value so prodigious in their Creator’s eyes. It is certainly a burden of glory not only beyond our deserts but also, except in rare moments of grace, beyond our desiring. To say the least, God is not a “host who feels responsible for the comfort of his guests.” He loves us enough to hurt us, or be willing that we suffer hurt, if it means our ultimate happiness. 1. C.S. 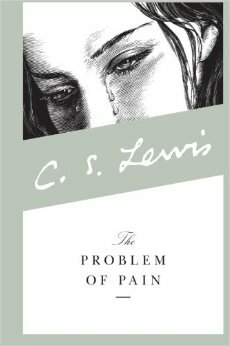 Lewis, The Problem of Pain (New York: HarperOne, 1940; 1966), 39-40. I’m still working on these videos of my recent trip. Here are a few more. The Day 4 video includes narration. Enjoy! The following are lightly edited notes on Genesis 3:12-13 from my ESV Journaling Bible, Interlinear Edition. 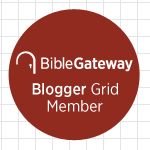 3:12: “The woman whom you gave to be with me”: Regardless of extenuating circumstances, we must take responsibility for our role in sin—for our contribution to it. The man blames God first, then the woman. 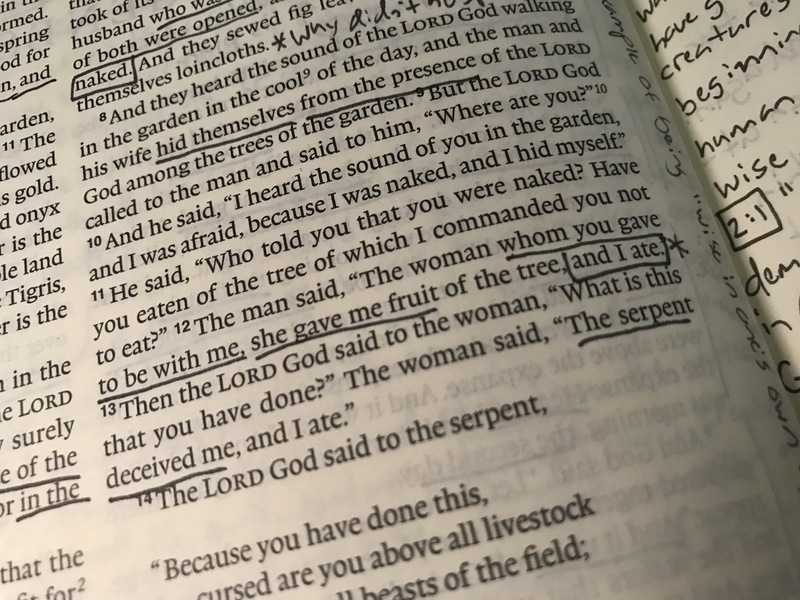 The woman blames the serpent. Yet there’s always a sufficient amount of guilt for which we are responsible. As I consider my frustration over ways in which I perceive that I’ve been mistreated in life, like Adam and Eve I want to prove myself righteous: I want to avoid blame; I want to to justify myself. My pride—my ego—is a genuinely destructive sin. And my anger is a related sin: I’m angry because I don’t perceive that I’m getting what I deserve. Honestly… I’ve said this before, but it’s true: I go very easy on myself when it comes to the sins of pride and anger; yet I’m guilt-ridden when it comes to other, lesser sins. But if an alien from outer space were able to read my thoughts and observe my behavior for a few days, he would surely conclude that pride and anger were, by far, my biggest, most harmful sins—to myself and others. Why do I so often fail to see it this way? Instead of falling on my knees and begging God for mercy—and thanking him that he hasn’t punished me worse for my sinful pride—I burn with anger, thinking, “This person, or those people, or this organization, or this institution of which I’m part, has badly mistreated me!” Yet no one has done anything worse to me than I’ve done to myself through pride and anger! No one has ever hurt me worse than I’ve hurt myself! Full stop. Oh, please, Adam! It’s not the woman, and it’s not God: it’s you! It’s how you responded to this particular test. You failed. And you also failed, Brent. After all, your hero, the apostle Paul, was facing death at every turn—whippings, beatings with rods, imprisonments, hunger, shipwrecks, nakedness, not to mention the worst kind of slander from his enemies (which, in my experience, hurt worse than any sticks and stones)—yet he could say things like, “This happened so that we wouldn’t rely on ourselves but God” (2 Corinthians 1:9), and “We rejoice in our sufferings because of all these good things that God is doing through them” (Romans 5:3-5), and “I give thanks always and for everything” (Ephesians 5:20), and “I have learned in whatever situation I am to be content” (Philippians 4:11). My point is, I have more than enough sin for which I can take responsibility. Let me never say again—alongside Adam—”This person, or these people, or these circumstances are to blame. No… I’m to blame for how I respond to this person, or these people, or these circumstances. Usually I don’t respond well. Forgive me, God. 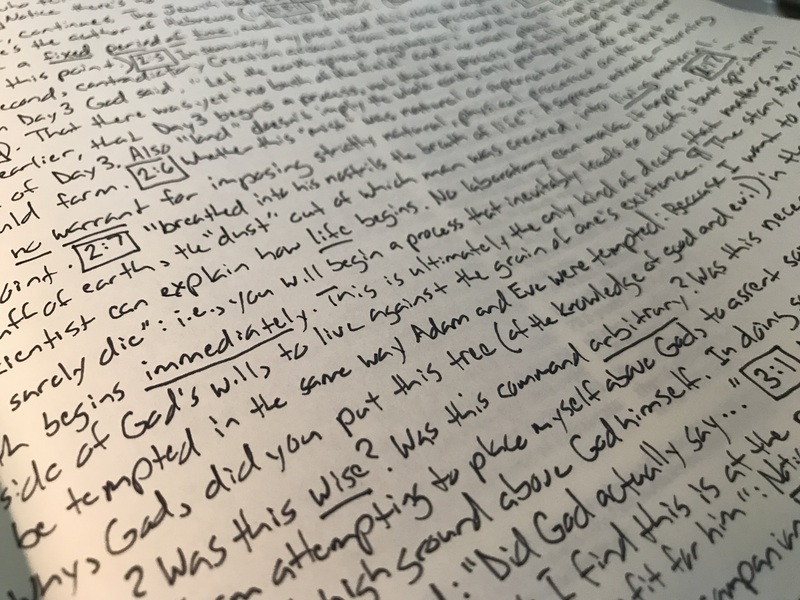 With some light editing, I wrote the following reflection on Genesis 3:5 in my ESV Journaling Bible, Interleaved Edition. In other words, Satan is attacking God’s character! 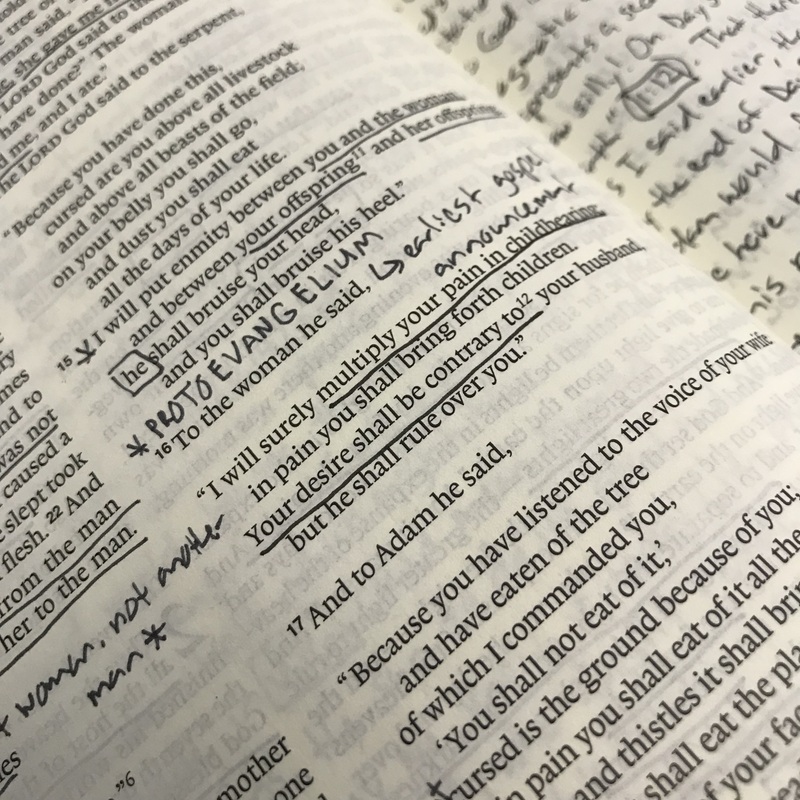 Satan tempts us in a similar way today: to believe that God’s Word (as revealed in scripture) is unfair, unwise, or harmful; to think that we “know better” than what he’s told us. And our skepticism about the goodness of God’s Word, we reason, is based on what we think it reveals about God’s character. “If the doctrine of hell is true, for instance—as scripture seems to teach—then that would make God less than loving”—as we understand love. If hell exists, something would be wrong with God; he would possess a character defect. Of course we’re too pious to believe that. But now we don’t have to! We have recourse to a different idea! 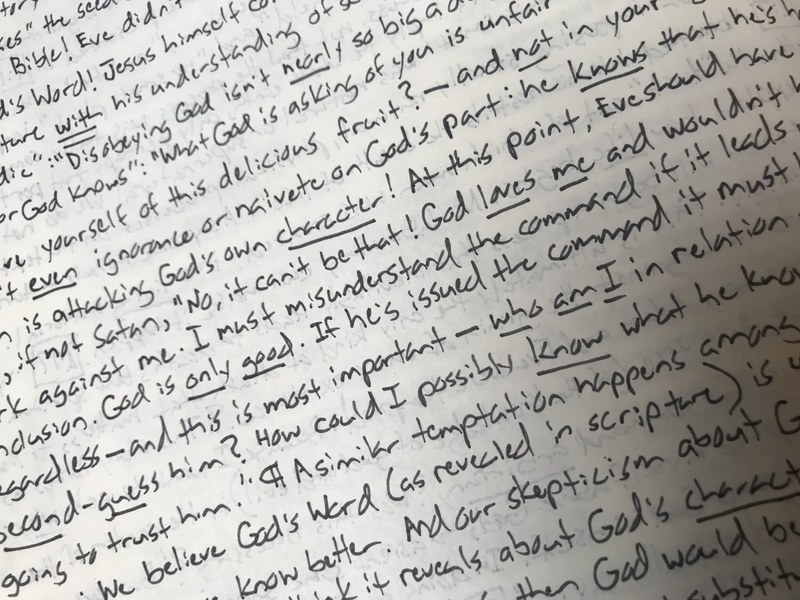 We can instead believe that a particular scripture is wrong, that it doesn’t reflect God’s true character or will, that the human authors who wrote it down got it wrong. One reasonable alternative—that God is infinitely wiser than we are, so we shouldn’t be surprised that we don’t always understand his ways, especially since he tells us in Isaiah 55:8 that “my thoughts are not your thoughts, neither are your ways my ways”—apparently doesn’t cross our minds. And neither does this: Why couldn’t an all-powerful and all-good God ensure that his written Word is telling the truth? Above and over the Wailing Wall is the Temple Mount on which the Temple once stood. The Romans destroyed the Temple in A.D. 70. Today, there’s a Muslim shrine called the Dome of the Rock in that location. Besides praying for my friends, as I was touching the wall and praying, I had this thought: This wall exists because of my sins. This massive building was built in the first place because of my sins (and the sins of everyone else, of course). And as I peer up to the top of the wall and imagine the Temple, the Holy Place, and the Holy of Holies—the small room of the Temple where the Holy Spirit dwelt, into which only one person, the high priest, was allowed to enter, and then only once a year—I think, I could never scale this wall to reach God on the other side. Indeed, ultra-orthodox Jews won’t even walk on the Temple Mount above (unlike Gentiles like me who will do so later today), for fear of treading on the place where the Holy of Holies once stood. 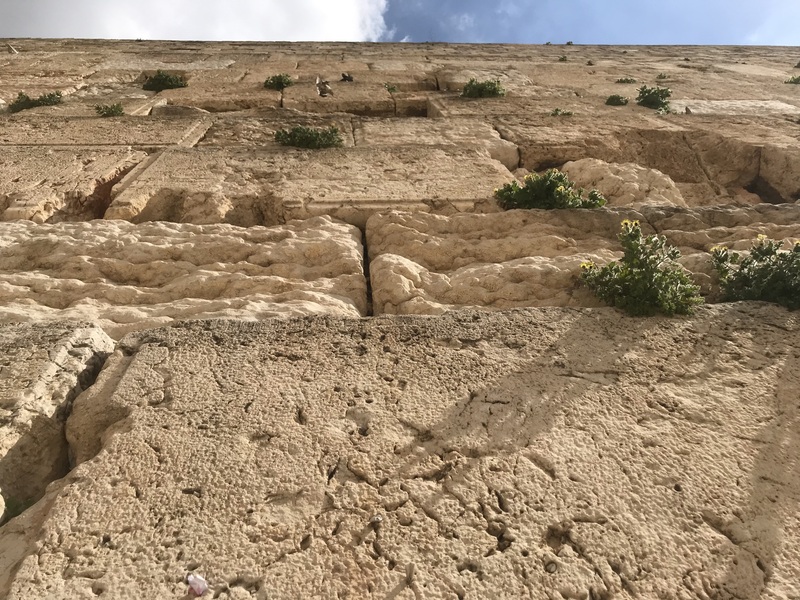 For them, this wall is literally as close as they can get to God. And so it would be for me—not only a sinner but a Gentile sinner, a double outsider. But God’s Son Jesus did everything necessary for me, not only to enter the Holy of Holies, but to have the Holy Spirit living within me! When Christ died, the thick curtain separating the Holy of Holies from the rest of the Temple was torn from top to bottom. Through faith in Christ, nothing needs to separate us from God! This means my sins are forgiven; I am sanctified; I am made perfectly righteous, not with my own righteousness but with the righteousness of Christ! “For our sake he made him to be sin who knew no sin, so that in him we might become the righteousness of God” (2 Corinthians 5:21). My view looking up the wall. Apart from Christ I could never reach God. “He said to them, ‘Who do you say that I am?’” Matthew 16:15. 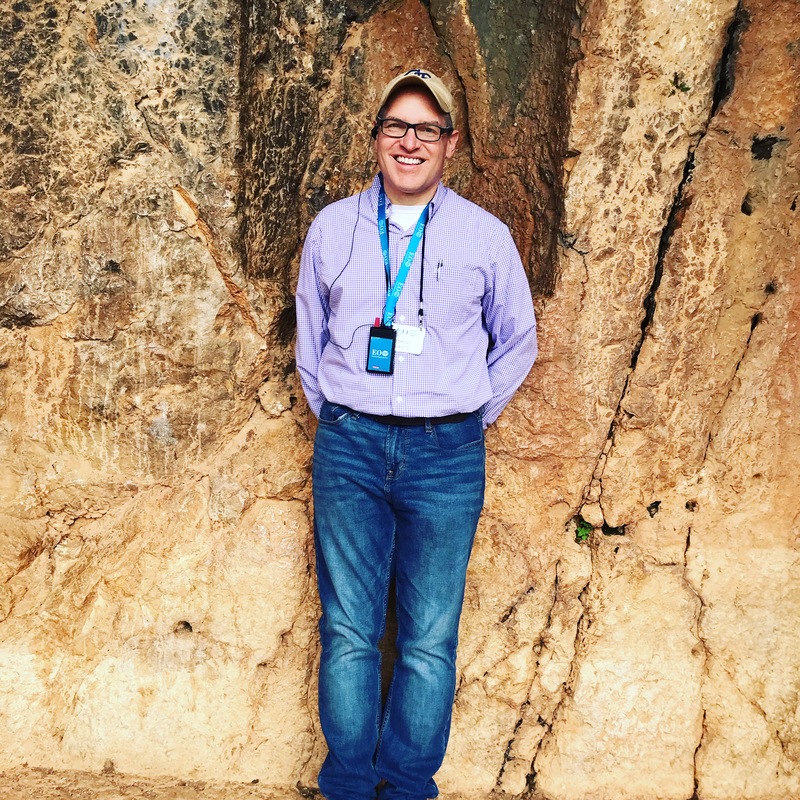 Here I am at Caesarea Philippi, the place of Peter’s great confession—also the place where Jesus told him, “Get behind me, Satan.” Jesus is patient with us that way. He certainly has been with me! Today he has given me exactly 49 years of life—of which every moment, every heartbeat, every breath has been nothing but sheer, undeserved gift. Yet I feel like I’m just starting to figure this life out—for example, that being happy, genuinely happy, means learning to want what Jesus wants for me. And trusting that what he wants for me is nothing but good! I want you who are reading this blog post to be happy in the same way. I want you to know Jesus like I do. He wants to forgive you, to give you eternal life, to show you his favor, to give you new power to live now. And if you actually know me, you might be thinking—as I would be—“Who are you to tell me this?” I agree. That’s the point! Jesus has done all of this for me. Me! Crazy, right? I will add more videos as I have time to make them—between an ambitious itinerary, the effects of jet lag, and unreliable broadband access. But here are the highlights Day 1. I formatted these videos for Instagram, which requires that videos last no longer than one minute. You can follow me on Instagram at @brentlwhite . 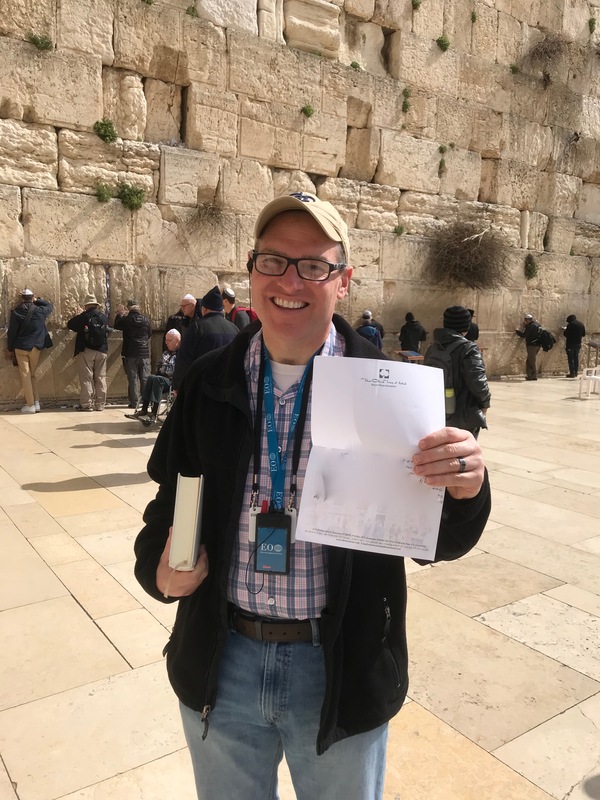 I’m in the Holy Land this week—for the first time since my life-changing experience back in 2011, which has continued to bear fruit in my life and ministry. 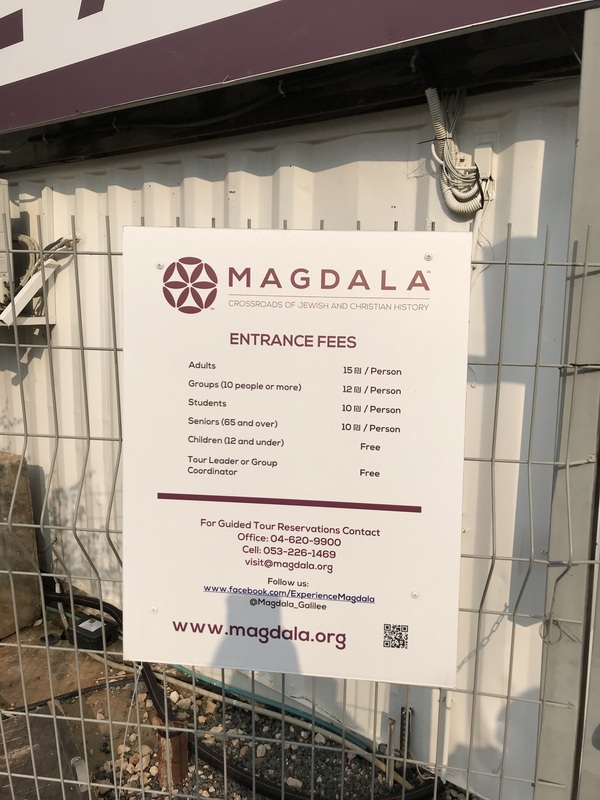 One completely new (to me) site that I visited is the excavation of the ancient city of Magdala, the hometown of Mary Magdalene (Luke 8:2; Matthew 28:1; John 20:11-18). Rome destroyed the town after the Jewish revolt in A.D. 67, and its ruins reflect first-century Jewish life in Galilee moments before that world came to its cataclysmic end. 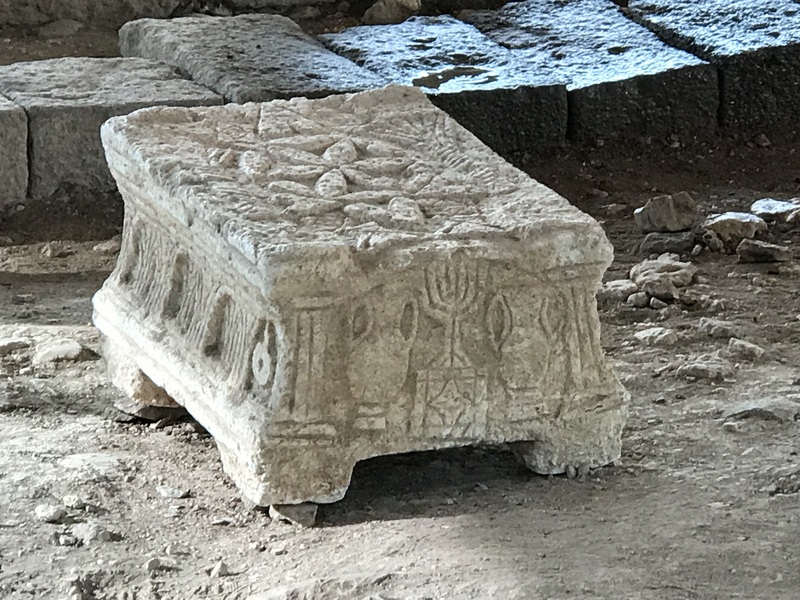 The most important discovery in Magdala is what’s known as the “Magdala Stone,” which likely served as a desk for reading scrolls of the Bible in the synagogue. The stone was sculpted to symbolize the Second Temple, which was destroyed in A.D. 70. Since this sculpture pre-dates the temple’s destruction, it is, for historians, a reliable source of information about the temple and its activities. There’s a recently built church next to the Magdala ruins, which commemorates Mary Magdalene. Since I’m trying not merely to be a tourist on this trip but also a pilgrim, I took the few moments between the talking of the tour guide and the inevitable gift shop at the exit to reflect on Mary’s life, as revealed in the scripture above, and to pray in the sanctuary. The extent to which we love Jesus is directly related to the extent to which we perceive that Jesus has healed us, rescued us, forgiven us—saved us. Mary herself, whom Jesus had delivered from seven demons, loved Jesus as much or more than most, as reflected in her steadfast refusal to leave him—either during the shame of his cross on Good Friday or after his death. She had the privilege not only of being the first eyewitness to the resurrection, but also the first to proclaim the good news of the resurrection, because she wanted more than anything to be with Jesus. Before we do anything as disciples, we are to be with Jesus—which, today, we do through reading God’s Word and prayer. But even putting it like that—contrasting “being” with “doing”—is misguided: because it implies that the time we spend with Jesus—which in my tradition is called having a “quiet time”—isn’t doing anything. Yet we know that being with Jesus is the most important thing we can do. To say the least, according to Jesus himself, Mary was hardly “doing nothing”; she was doing the most important work of all. Through the Holy Spirit, through the scripture that the Spirit “breathed out” (2 Timothy 3:16-17), and through our access to our Father in the heavenly throne room (Hebrews 4:16), we may choose the same good portion.